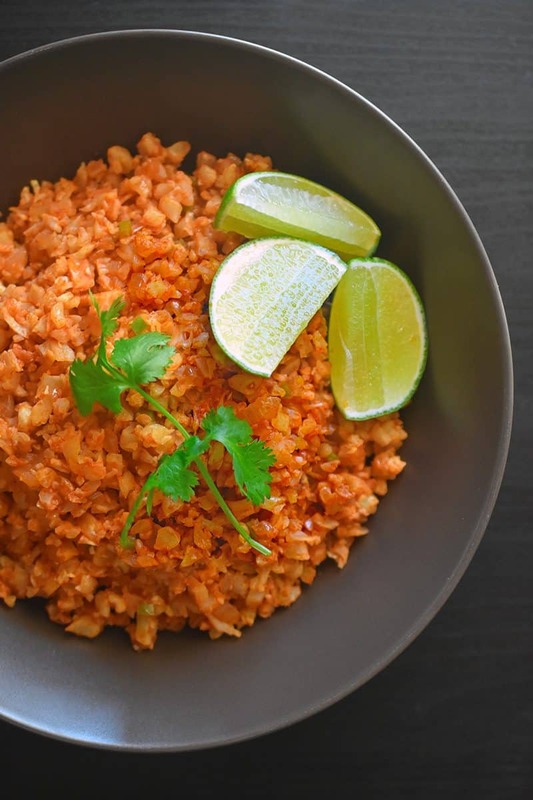 This simple Whole30 Mexi-Cauli Rice is made from pantry staples and cauliflower. 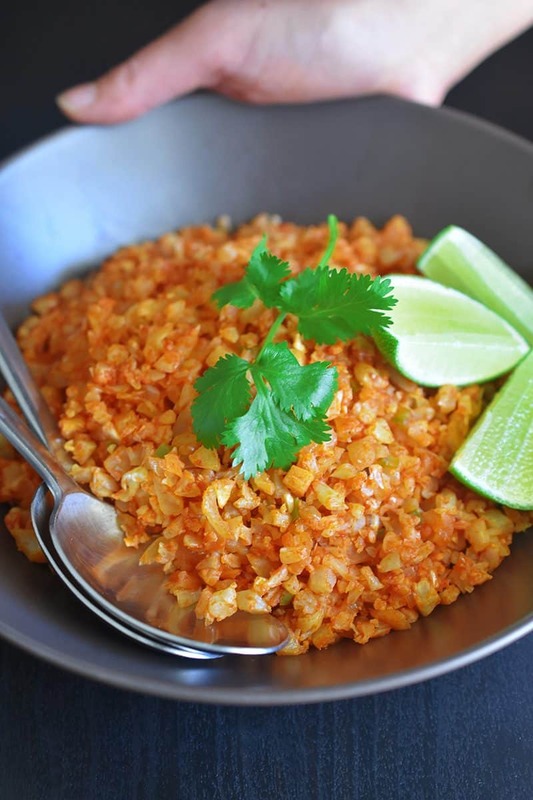 This low carb Mexican cauliflower dish is a perfect substitute for rice! Craving a tasty burrito bowl but tired of having to tell the nice person assembling it, “YES I KNOW THE GUACAMOLE IS EXTRA”? 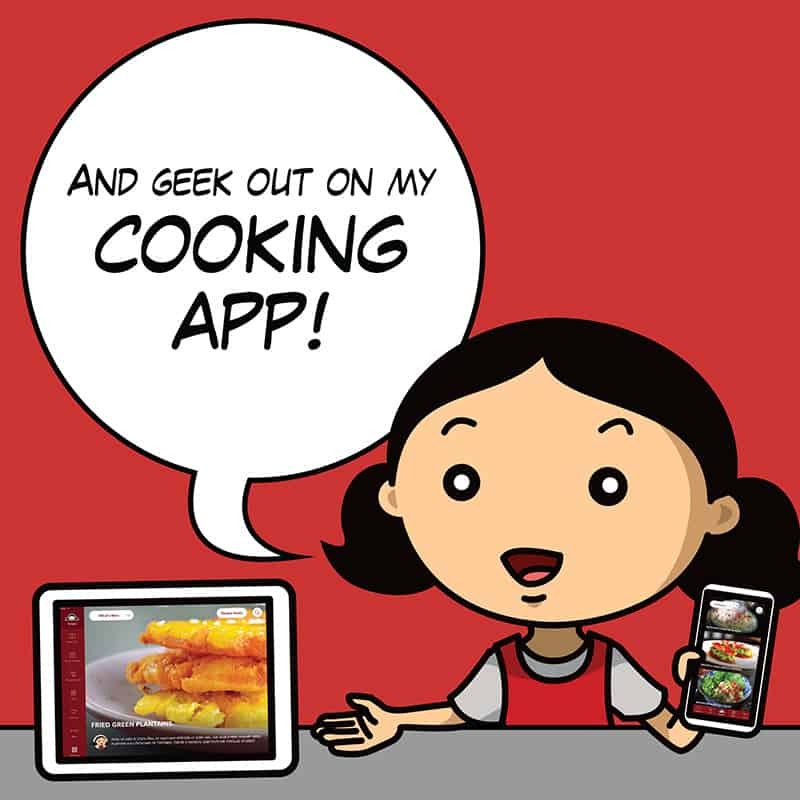 Make one at home! Of course, a burrito bowl isn’t quite the same when you can’t eat white rice ’cause it spikes your blood sugar. The solution? 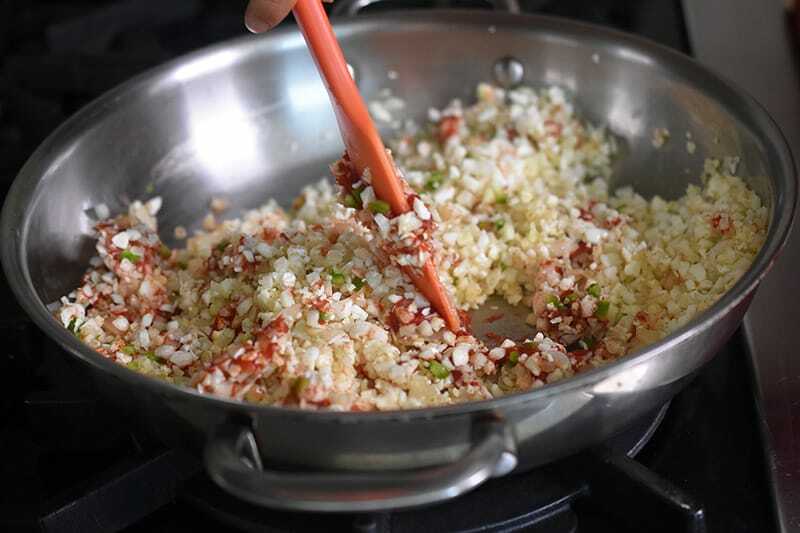 Whip up some Mexi-Cauli Rice! 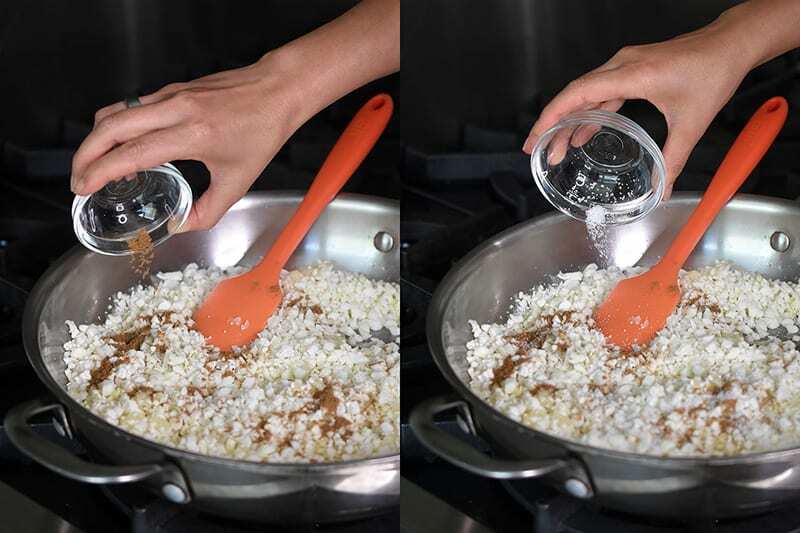 This easy-peasy Mexi-Cauli Rice is made from pantry staples and it’s the perfect vegetable-packed accompaniment for your favorite Mexican-inspired home-cooked meals. 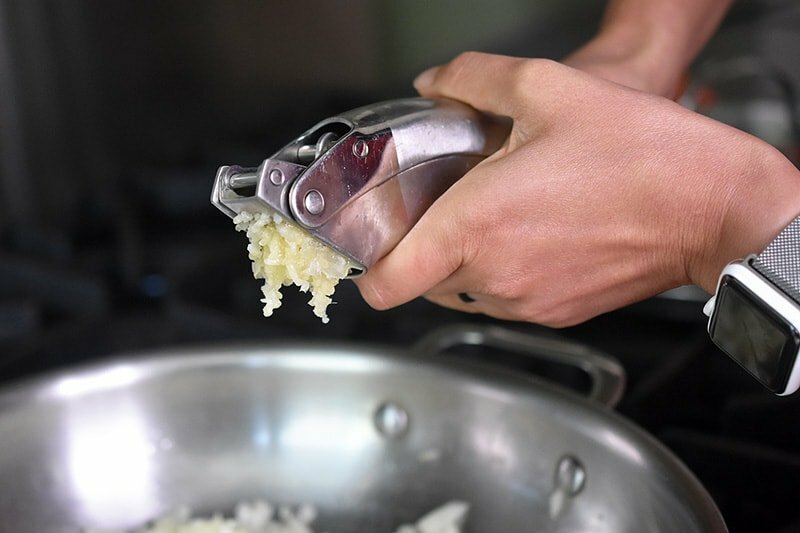 It’s super-quick to make, too—I always have bags of riced cauliflower in my freezer or fridge so I can cook this side dish without making a big mess with my food processor. You don’t even have to change out of your pajamas to scratch that Whole30-friendly burrito bowl itch! …and cook until softened, about 5 minutes. 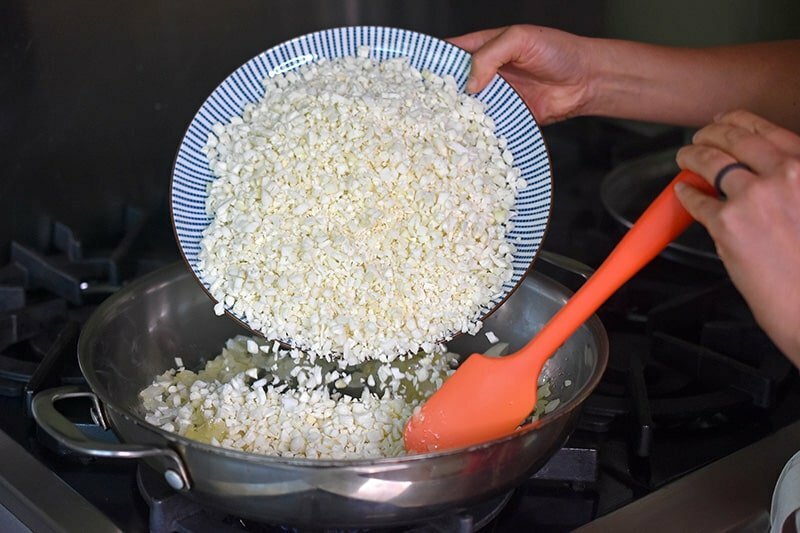 Add the minced garlic and cook until fragrant, about 30 seconds. …and season with ground cumin and kosher salt. …and taste the rice. Adjust the seasonings as needed. Serve with lime wedges and your favorite cooked protein! 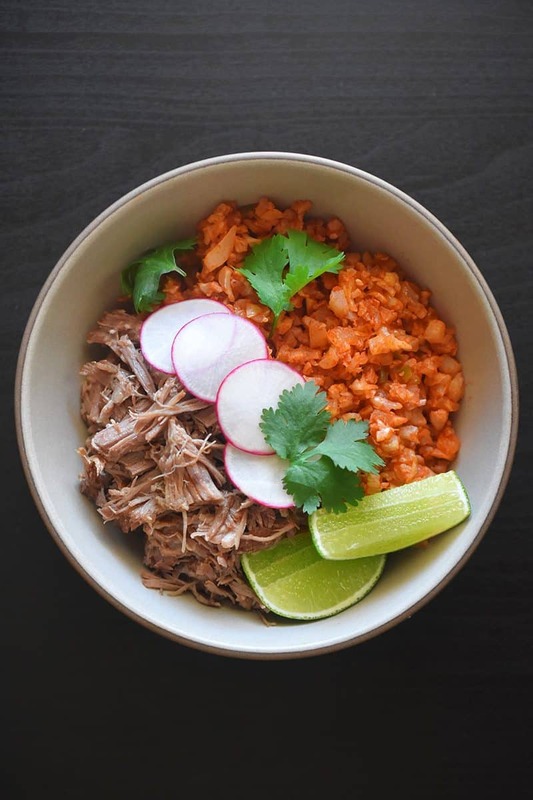 May I suggest a Mexi-Cauli Rice bowl topped with Instant Pot Carnitas (or Instant Pot Salsa Chicken)? And yes, you should totally add guacamole to it. Now, eat it up! Spiced-up cauliflower rice is life-changing. Don’t believe me? 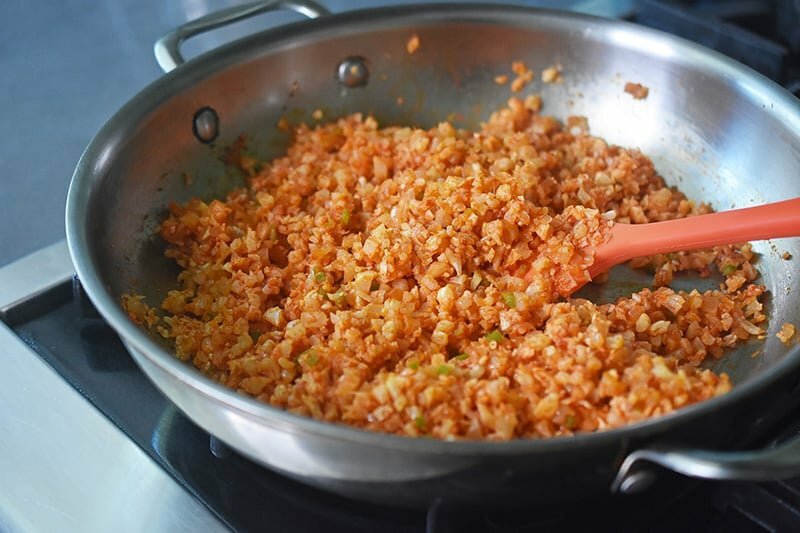 Make my Asian Cauliflower Fried Rice or Kimchi Cauliflower Fried Rice! 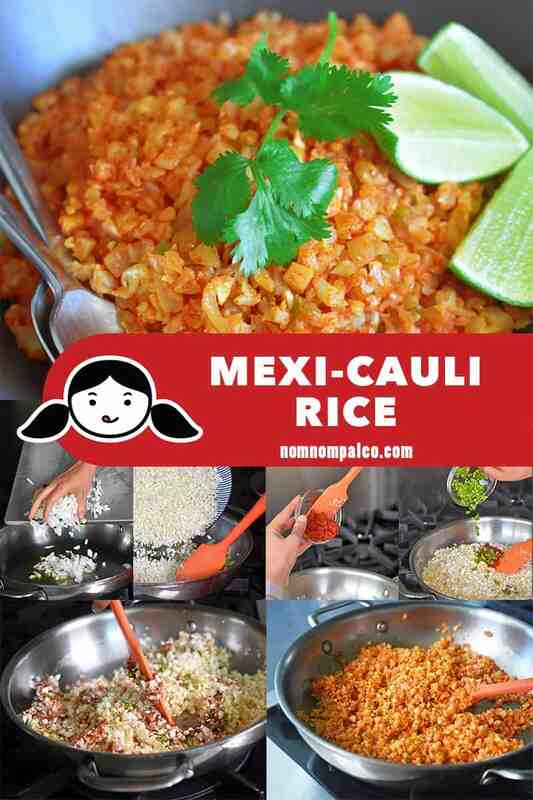 This simple Whole30 Mexican Cauliflower Rice is made from pantry staples and cauliflower rice. My fave low carb vegetable side for your Mexican-inspired home-cooked meals! Heat a large skillet over medium heat. 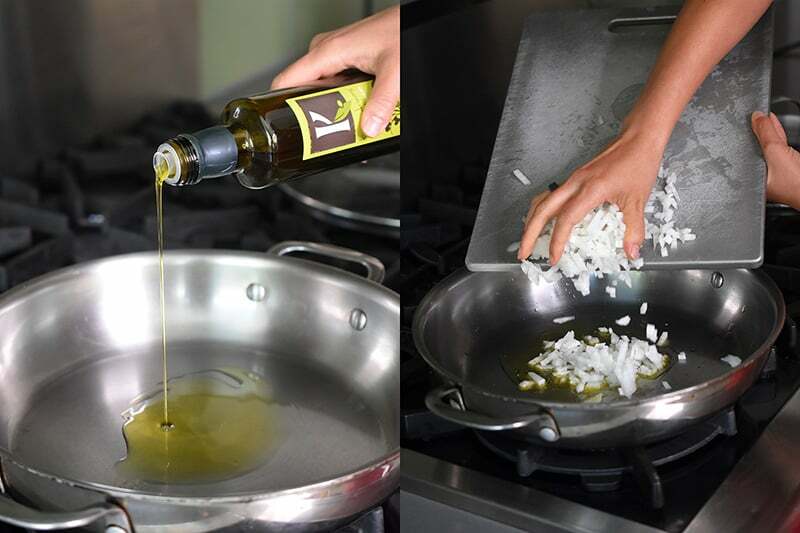 When the pan is hot, pour in the olive oil or fat of choice. Toss in the onions and cook until softened, about 5 minutes. 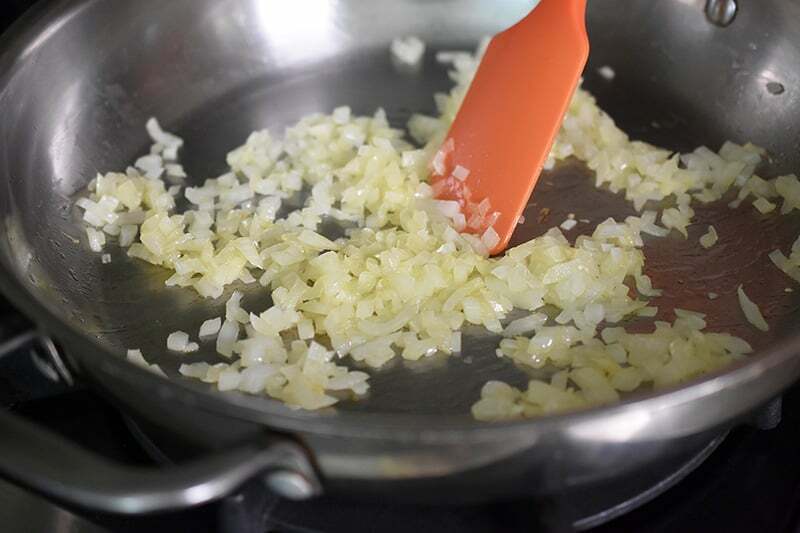 Add the minced garlic and cook until fragrant, about 30 seconds. Dump in the riced cauliflower and season with ground cumin and kosher salt. 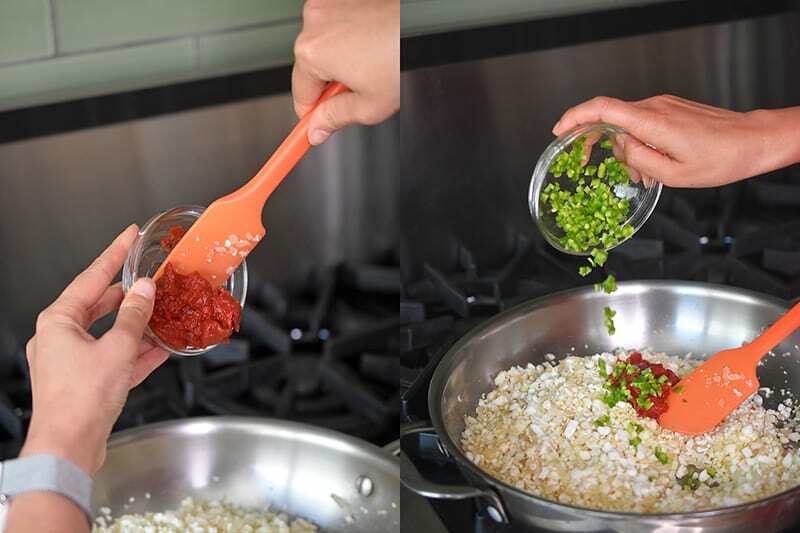 Stir in the tomato paste, diced jalapeno pepper, and mix thoroughly. 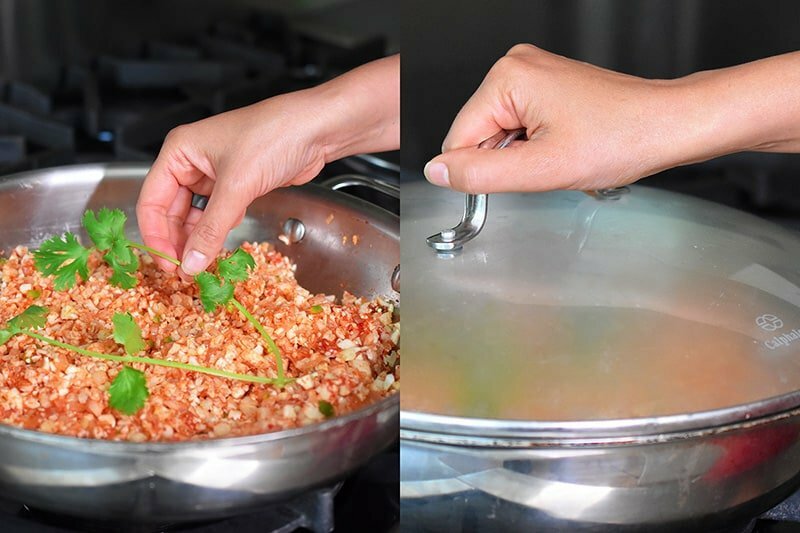 Tuck a couple of cilantro stems in the cauli rice. 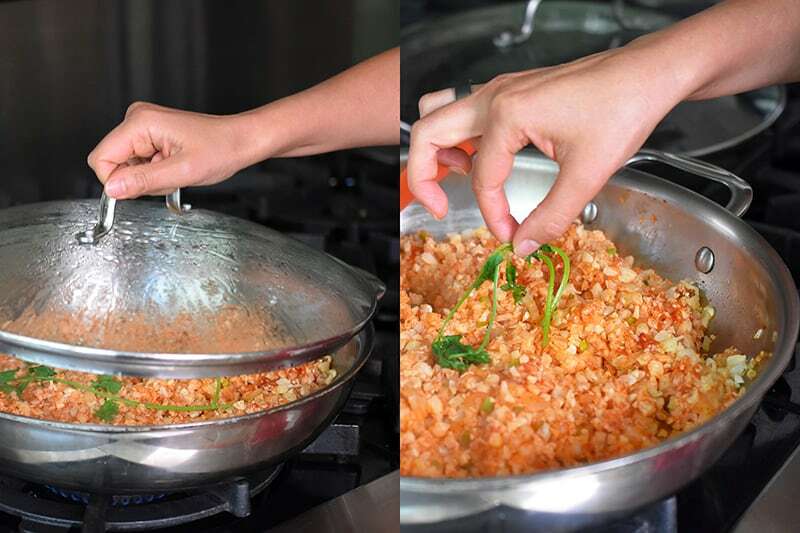 Cover and cook for 5 minutes or until the rice is tender but not mushy. Pluck out the cilantro and taste the rice. Adjust the seasonings as needed.